Central Queensland, Wide Bay and Sunshine Coast PHN has a skills-based Board of Directors comprised of experienced health professionals, business and legal experts and representatives from the not for profit sector. Our Board leads the strategic direction of the organisation and takes responsibility for our compliance and reporting to governing bodies such as the Australian Securities and Investment Commission and the Australian Charities and Not For Profits Commission. 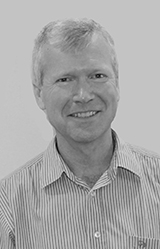 Peter is a GP and general practice owner with over 20 years’ experience. 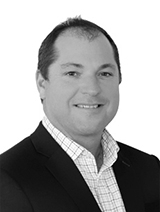 He has over 10 years’ experience in key executive roles within the Sunshine Coast Division of General Practice, the Sunshine Coast Gympie Partnership Council and the District Division Alliance. 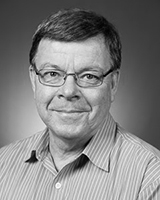 Peter is highly involved and networked within PHN stakeholder groups and has enjoyed a long involvement with and made contributions to State and National initiatives. As an experienced chair, Peter has strong governance skills with his areas of key competency and experience including stakeholder engagement, conflict resolution, performance evaluations and member engagement. Rebecca is presently General Manager of Member Health with Medibank Private, responsible for the health management and promotion of their 3.9 million members. Rebecca has worked in a range of health settings in both clinical and corporate functions. Originally an occupational therapist, Rebecca understands the coalface of health service delivery and the importance of local nuances across geographies and demographics – critical success factors for the PHN. 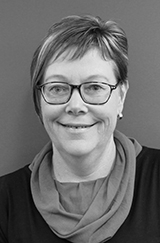 Rebecca has completed an Executive MBA, Grad Certificate in Corporate Finance, is a Graduate of the Australian Institute of Company Directors, and Adjunct Associate Professor at University of NSW (School of Public Health and Community Medicine). In 2016 Rebecca was included in the AFR’s BOSS Top Ten Young Executives of the Year. David was honoured in 2007 with Queensland’s Australian of the Year, Queensland’s Social Entrepreneur of the Year, as well as several other community and business awards in recognition for his founding of the national disability group Youngcare. David continues to remain an active and passionate supporter of organisations in the area of human rights, indigenous youth, disability advocacy and sits on the advisory board for Health and Wellbeing Queensland for Queensland Health. David is Managing Director of Damarcon and a Director of Stradbroke Capital. Chair of The Queensland Museum Network, and Brisbane Powerhouse Arts. Grant is a company director and lawyer. He holds a Bachelor of Laws, Master of Laws, Master of Business Administration, Graduate Diploma in Applied Corporate Governance and has studied leadership of professional service organisations at Harvard. Grant has held executive roles and directorships in several state and national organisations spanning law, property, risk, franchising, finance, tourism, economic development and training. Fiona has been working as a GP on the Sunshine Coast for the last 20 years, across a number of practices. Fiona now works as a GP in both Kawana and Brisbane. She grew up in a farming community in country Victoria and has worked in both rural and remote GP settings prior to moving to Queensland. Fiona relishes the challenges and the continuity of care that a career as a GP brings. She has been closely involved in working to improve primary healthcare delivery and integration through her involvement in GP organisations since the inception of Divisions of General Practice and now as a Board director at the PHN. Dr John Menzies is an experienced hospital and health service consultant who has over 30 years experience in the health field both in Australia and internationally. He graduated with first class honours in Medicine at the Univ. Qld. and obtained a Master of Health Planning from the University of NSW. He is a Fellow of the Royal Australian College of Medical Administrators and is a senior censor with the College. Dr Menzies is currently the General Manager of the Health Roundtable Ltd. Prior to taking on this role in early 2015, he was for 13 years the senior medical and hospital consultant for AbtJTA. In this role he completed numerous consultancy tasks for Australian and international Governments as well as overseeing the clinical service governance of services provide by AbtJTA. His international work has included major projects in Papua New Guinea, Indonesia, Norway, Tonga, Solomon Islands and Timor Leste. In the last six years with AbtJTA he undertook major CEO roles for the Tasmanian Health Department. 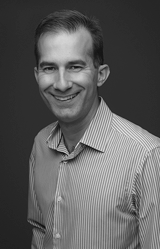 John is an advanced practice pharmacist who has practiced in the Sunshine Coast and Gympie area since 2004. He provides pharmacy consultancy services within a number of general medical practices in the region and also works in community pharmacy. He has previous experience in hospital pharmacy. John is Deputy Chairperson of Sundale Ltd, a provider of residential care, in-home care, retirement living, social housing and rehabilitation services in South-east and Central Queensland. 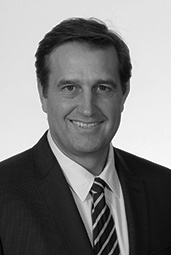 He is a Graduate Member of the Australian Institute of Company Directors. 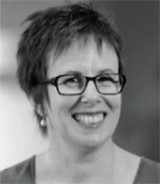 Amanda is an independent governance professional with clients throughout Queensland. She is company secretary for a number of companies and charities in healthcare, creative industries, and communications. She is also a non-executive director serving on a number of boards, and President of the Sporting Wheelies and Disabled Association. 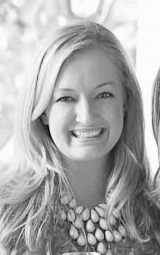 Amanda has significant senior executive experience, and demonstrates leadership, engagement and mentoring to ensure teams and individuals can deliver strong results in line with business strategy.